Note Regarding Job Queries: You can share your CVs for cpec prospective jobs at hr@cpecplatform.com. You can also fillin our online from on this link. http://cpecplatform.com/job-seekers/. Please DONOT CALL to get details for jobs. We don’t have job openings or job opportunities in hand. However, we are building a resource pool / data bank of CVs for any future prospective jobs in various projects including CPEC. Companies, Vendors, Businesses wishing to become part of CPEC Platform can register with us by filling in the form available on below link. 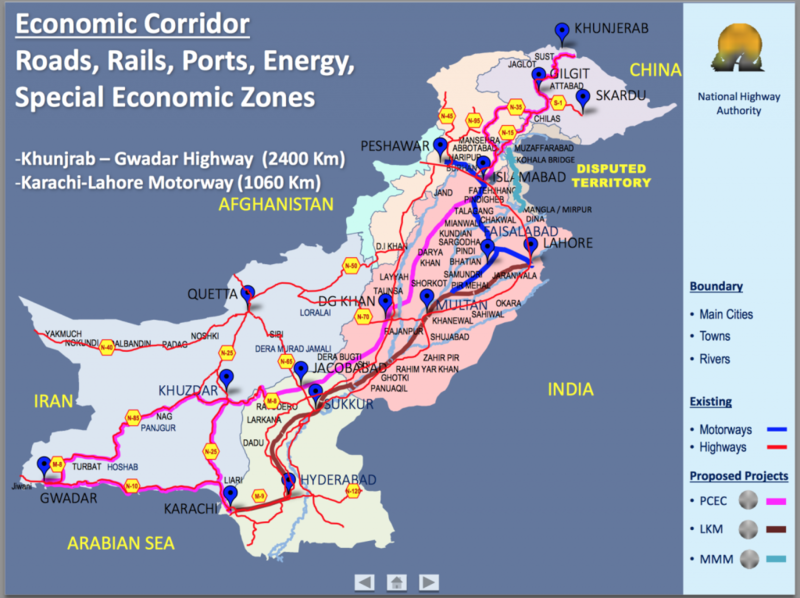 The China Pakistan Economic Corridor (Chinese: 中国-巴基斯坦经济走廊; Urdu: پاكستان-چین اقتصادی راہداری‎), (CPEC), is a collection of projects currently under construction at a cost of $46 billion, which is intended to rapidly expand and upgrade Pakistani infrastructure, as well as deepen and broaden economic links between Pakistan and the People’s Republic of China. The corridor is considered to be an extension of China’s ambitious proposed 21st century Silk Road initiative, and the importance of CPEC to China is reflected by its inclusion as part of China’s 13th five-year development plan. Pakistani officials predict that the project will result in the creation of upwards of 700,000 direct jobs between 2015–2030, and add 2 to 2.5 percentage points to the country’s annual economic growth. Should all the planned projects be implemented, the value of those projects would be equal to all foreign direct investment in Pakistan since 1970, and would be equivalent to 17% of Pakistan’s 2015 gross domestic product. CPEC: To be built over the next several years, the 3,218 kilometre route will connect Kashgar in China’s western Xinjiang region to the port of Gwadar, Pakistan. Currently, nearly 80 per cent of China’s oil is transported by ship from the Strait of Malacca to Shanghai, a distance of more than 16,000 km, with the journey taking between two to three months. But once Gwadar begins operating, the distance would be reduced to less than 5,000 km. Note: You can share your CVs for cpec prospective jobs at hr@cpecplatform.com. Please DONOT CALL to get details for jobs. We don’t have job openings or job opportunities in hand. However, we are building a resource pool / data bank of CVs for any future prospective jobs in various projects including CPEC. Is the China-Pakistan Economic Corridor in any manner hurtful to the Indian economy, or does it threaten its security? The people in the world, including pro-India West, don’t think so. But that is not the case with Prime Minister Narendra Modi-led cabinet, which appears to be hell-bent on sabotaging this historic Pak-China enterprise – with whatever device India can lay its hands on. Within weeks of signing the project in Islamabad during Chinese President Xi Jinping’s visit there was this noticeable spike in the RAW-special ethnicity-based incidence of terrorism in Balochistan. Obviously, when the moment people learnt of the gruesome massacre of some 20 labourers from Sindh and Punjab near Gwadar they looked towards India. Then there was the Safoora Goth carnage, followed in quick succession by the killings of a busload of Pashtuns of Balochistan in Mastung, near Quetta and the people believed these were the handiwork of Indian intelligence agency RAW. Modi’s men even tried at removing ‘kanta with a kanta’, and in return earned resentment of the million-plus army’s leadership which believes if India is in one piece today it is because of them. In Pakistan, reaction to all this wasn’t what the Modi government had expected; it was just the opposite of it. The Pakistani political leadership across the board saw through the Modi game and clinched consensus on the need and viability of the mega CPEC project that so perfectly fits in the region’s emerging geopolitical realities. So if Indian foreign minister, Sushma Swaraj, is upset over the CPEC, as she demonstrated at a news conference in New Delhi on Sunday, it was expected – given failure to rupture nation-wide support in Pakistan for the economic corridor she seems to have been tasked to raise heckles against the corridor project at the diplomatic level. That CPEC is “unacceptable” to India, is India’s concern Narendra Modi conveyed to the Chinese leadership during his recent visit to Beijing. The Chinese reaction to the Modi brag was polite but firm; “relevant co-operation carried by China in the relevant region will not target any third party (read India) and will not effect China’s position on the relevant issue,” the Chinese Foreign Ministry spokesperson, Hua Chunying, told international media a day after Sushma Swaraj had expressed herself on the project. BOTH China and Pakistan consider CPEC a significant milestone — in the emerging politics of the region, it has the potential to change the strategic and geo-economic dynamics across the whole of Eurasia. Both sides appear enthusiastic about the corridor, but for different reasons. For China, CPEC is a flagship project, an important component of its much larger One Belt, One Road (OBOR) initiative. For Pakistan, it is a strategic and economic game changer in the region. However, the excitement surrounding this initiative also entails undercurrents of frustration at times. China anticipated a smooth implementation of CPEC-linked projects, but the slow pace and patchy consensus on the project within Pakistan have annoyed Beijing. The Pakistani establishment has attempted to use CPEC and its friendship with China as a strategy for balancing regional power, mainly against India, with less focus on the economic advantages of the initiative. Despite these mixed feelings both sides can learn a lot, to their mutual benefit. So far, they have avoided taking impulsive steps which could compound frustrations. Pakistan is learning to simultaneously manage and balance internal pressures and compulsions with its foreign policy orientation. China is experiencing a new partnership; different from its African experiences, but very useful for its OBOR engagements in the region. The Chinese success in Africa — ie how they won and executed mega infrastructure projects in many parts of the continent — is commendable. However, these ample opportunities for Chinese investors were only achieved by China’s unconditional support for those countries’ unsavoury regimes. Critics also point to corruption and kickbacks, which fast-tracked implementation and completion. Pakistan and South Asia are different from the African region. Although corruption is a big issue in the national discourse — and scandals such as the Panama leaks continue to destabilise the government’s credibility — the government cannot use authoritarian powers to suppress the opposition, media, judiciary and, above all, the common citizen’s grievances. The political government cannot do without consensus among stakeholders, especially on national issues. In some cases, building consensus takes time but, once developed, it ensures transparency and, most importantly, socio-political stability — critical to paving the way for long-term engagements. The Colombo Port City project is a good example of this: the project had been signed off by the previous government, but due to internal criticism and lack of transparency the new government suspended work on the project. President Maithripala Sirisena’s government has recently given the go-ahead to resume the initiative — after developing consensus and making changes to the terms of the project. Dictatorial leadership cannot build consensus on critical national issues — such regimes have triggered anti-establishment and anti-Punjab sentiments in its federating units, and have also caused socio-political frustrations which have impacted internal security. Besides the many issues of resource distribution, the Kalabagh dam is a classical example of military rulers failing to evolve consensus despite all their efforts. It suits political governments best to evolve and maintain consensus as they have previously done; the settlement of water resource distribution, national financial awards, and some critical constitutional corrections are a few recent examples. Even on CPEC, consensus is intact because all political stakeholders are generally in agreement. If some provinces or political parties continue to have reservations, there are forums available where these issues can be discussed. The smooth implementation of CPEC-linked projects requires that all our constitutional and legal safeguards are functional and free of bureaucratic hurdles. The government has promised incentives, such as a ‘one-window operation’ and coordination networks for foreign investors and stakeholders, to create a better investment climate in the country. To facilitate Chinese investors, the government could introduce a separate mechanism both on the federal and provincial levels. The provinces could accelerate the process of establishing special economic zones, which would also attract investors from other countries. There is a need to make the Council of Common Interests more effective and functional. At the same time, parliamentary committees on CPEC should be vigilant and enhance their contributions from monitoring to actively giving advice. If needed, a special oversight committee on CPEC can be formed, made up of representatives from political parties, chambers of commerce, technocrats, and experts. Considering that security is a critical issue for the project, representatives of the security establishment can also be included. Another issue which Chinese experts often highlight is the lack of any scientific approach in Pakistan, with indirect references to the fact that the eastern route — much more feasible from economic, security and strategic perspectives — should be prioritised. According to their rationale, a scientific approach is needed to manage costs and long routes. However, a political government cannot sell this idea as it incurs a political cost. The better approach for the government would be to bear the economic costs and to focus on both routes simultaneously. This is important, both for national unity and political stability. Many experts rightly evaluate the strategic importance of CPEC — increasing in importance given the fluid geopolitical context of the region. The Gwadar port is important for China and Pakistan in emerging strategic scenarios in the Indian Ocean, and will give them an enormous edge over their competitors. Would it be wise to capitalise on strategic advantages only when it also holds economic opportunities — when neither comes at the other’s cost? To put it simply, it is not that Pakistan would gain strategic advantages only if it sacrificed its economic interests. China may also not favour the idea of overemphasising the strategic importance of CPEC and Gwadar, but rather use them as important markers on its blueprint for OBOR. China’s strategic and economic positions would not be damaged if Pakistan continued to use its strategic advantages to balance regional politics and manage its relationship with the US. CPEC is an experiment for both China and Pakistan. From it, China can learn how to execute OBOR in other parts of the region with similar political and social credentials. For Pakistan, it presents a test: to hold its nerves and implement CPEC without any major political and security turbulence. As the China-Pakistan friendship car rally rolled through the Khunjerab Pass, the icy temperatures at one of the world’s highest passes thawed by the warm hospitality extended by Pakistan. “The weather was extremely cold at the Khunjerab pass but that was undone by the warm hospitability extended by Pakistanis,” said one of the participants of the China-Pakistan Friendship Car Rally. The driver was part of a 22 car motorcade carrying 52 Chinese passengers who are driving along the route of the China-Pakistan Economic Corridor and the old Silk Route. The rally will travel the length of Pakistan to Gawadar before crossing into Iran and making its way to the United Arab Emirates. “The Pakistani authorities extended their hospitality and provided all facilities, guidance and support which was remarkable,” said another Chinese rally driver after they had stayed overnight in Gilgit. The rally left the region on Saturday morning, heading for Islamabad as its second major stop. Earlier on Friday, the friendship rally crossed into Pakistan at the 4,693 meters high Khunjerab Pass from China’s Xinjiang region. “That is the spirit of friendship, in which it does not matter at what height the place is or how cold the weather is,” said a rally driver. As the convoy entered Pakistan, security forces at the pass presented them with a guard of honour. The participants were welcomed by Pakistan authorities and a small ceremony was held to pay tribute to Chinese people and to the time-tested friendship between the two countries. Flags of both countries were also hoisted during the ceremony. Gilgit-Baltistan’s (G-B) Minister for Works Dr Muhammad Iqbal was also part of the ceremony, having specially traveled to the pass from Gilgit. “The participants of the rally are our guests and we feel proud to have them with us here,” Dr Iqbal told The Express Tribune. Thereafter along the entire route from the pass to Gilgit, people lined up along the roadside to watch the convoy. Some waved the cars along, others recorded the moment with their cell phones. The rally reached Gilgit later in the evening where Chief Minister Hafeezur Rehman rolled out the red carpet from them, and hosted them for dinner. “Pak-China friendship is eternal and we are happy to be here,” said Lee, who was leading the rally, at a ceremony organised in their honour in Gilgit late on Friday. On Saturday it passed through G-B’s troubled district of Diamer amid tight security. Despite the stringent measures, people lined up along the road to watch the rally drive by. In addition to the public, the additional deputy commissioner Dildar Ahmed and senior police officials also showed up to welcome the rally in Chilas. Published in The Express Tribune, October 16th, 2016. An IPRI Review meeting on “Completion of CPEC: Impact on Pakistan’s Strategic Position and Economy” was held at IPRI conference hall on April 26, 2016. China-Pakistan Economic Corridor (CPEC), linking Gwadar to China’s Western city of Kashgar was viewed optimistically. It was reiterated that CPEC would generate economic activity, open vistas and opportunities for Pakistan and the region at large. Further, China’s access to the markets of South Asia and Middle East would be enhanced. 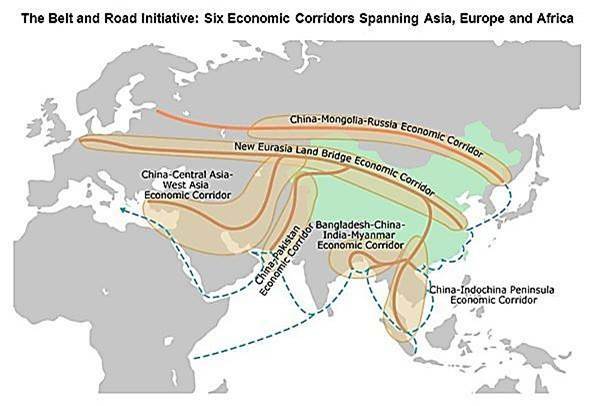 The corridor would also diversify China’s energy routes, and lessen the country’s dependence on the Strait of Malacca. Historically, the very concept of a corridor, has been a cause of development in different parts of the world. In the post-1945 period, European Economic Community was formed (1957). Later, European Union (EU) was created in November 1993. Currently, the free movement of people, goods, services and capital are the pillars of EU. The idea to establish Exclusive Economic Zones (EEZ) comprising Cambodia, Laos, Vietnam and Myanmar under the Greater Mekong Sub-region Economic Cooperation Programme is also akin to the concept of establishing economic corridor for promoting trade and people to people interaction. 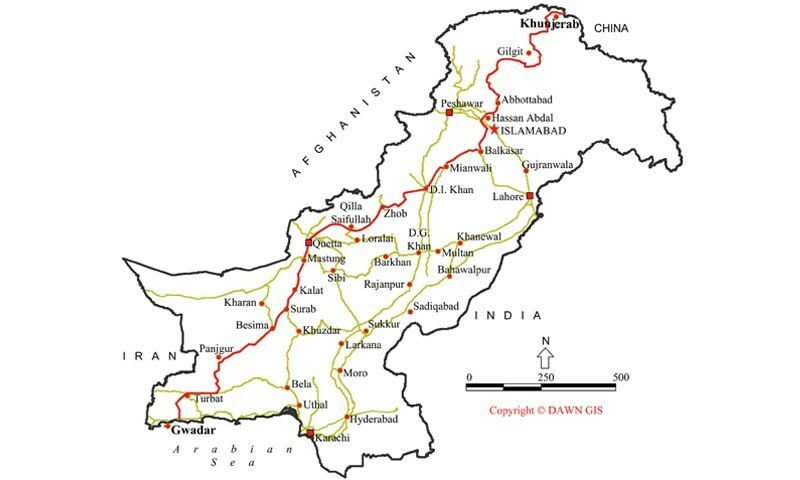 The construction of CPEC would be along the Karakorum Highway build during the 1970s from the Pakistani town of Havalian in Hazara division to Khunjerab Pass, the border of China and Pakistan. In 2010, China declared Kasghar, an important transit point on the ancient Silk Route and a gateway between China and Pakistan, as a Special Economic Zone (SEZ) with the idea to develop the Chinese Western province of Xinjiang into a major trading hub leading to energy and economic integration with South and Central Asia. The SEZs in the Pakistani port of Gwadar and Kashgar and the prospects of rail and road connectivity between proposed SEZs would develop great economic, political and strategic potential for the region. The concept of CPEC though started from 2006, was formally presented by Pakistani Prime Minister Nawaz Sharif during his visit to China in November 2014. The two countries signed 19 agreements and Memorandum of Understanding (MoU) to boost the bilateral ties between China and Pakistan in various fields including energy and basic infrastructure sectors. CPEC is equally beneficial to China. The port of Shanghai is 10,000 kilometres from the Strait of Hormuz by sea via the Malacca route while Kashgar, the capital of Xinjiang, is about 4500 kilometres from the port of Shanghai. However, Kashgar is 2800 kilometres from Gwadar via the envisaged CPEC and hence just over 3400 kilometres from the Strait of Hormuz. It makes plain economic sense for Beijing to prefer this route only on the basis of the time distance equation. However, besides economy China also faces security issues which make the Gwadar-Kashgar route important. The ships travelling from the Persian Gulf or the Red Sea have to pass close to the Indian territory as well as through the Malacca Strait. China is fully aware of the vulnerability of the ships throughout the long sea passage and particularly through the Malacca which is termed by the Chinese as the “Malacca Dilemma”. China is, therefore, looking for alternative options to safeguard its supplies and Gwadar provides the most secure and economically feasible alternative to link with this side of the world. The four main pillars of CPEC are Gwadar port, communication infrastructure, energy infrastructure and industrial zones. China has made commitment to invest around US $ 46 billion in the developmental projects (which is roughly 20 percent of Pakistan’s annual GDP, with approximately US $ 28 billion in immediate projects and the rest allocated for projects in the pipeline). In total, the energy projects will add 17,000 megawatts of electricity generation at a cost of US $ 34 billion. The rest of the money will be spent on transport infrastructure, including upgrading the railway line between the port megacity of Karachi and Peshawar.. Major infrastructural projects to be constructed under the CPEC include Gwadar East Bay Expressway, Gwadar International airport, up-gradation of KKH phase-II, parts of Karachi–Lahore Motorway and Muzaffarabad–Mirpur Expressway. The amount spent on the projects will be in the form of concessional loans, mainly from Chinese banks to Chinese companies for specific projects. These projects will take three to fifteen years to complete. Chinese engineers, technicians and labour will come to Pakistan for construction of these projects. The Pakistan’s Army (principally the Frontier Works Organization) and civilian personnel will also be working on some of these projects. The first (Western) route suggests that the CPEC will enter Balochistan via Dera Ismail Khan to Zhob, Qila Saifullah, Quetta, Kalat, Punjgur, Turbet and Gwadar. The second (Central) route goes from Dera Ismail Khan to Dera Ghazi Khan and onwards to Dera Murad Jamali, Khuzdar, Punjgur, Turbet to Gwadar. The third route (Eastern) enters the Punjab province from Khyber Pakhtunkhwa, going through Lahore, Multan and Sukkur, from there it takes the traditional highway to enter Balochistan, passing through Khuzdar, Punjgur, Turbet and Gwadar. An alternate route will go from Sukkur to Karachi and from there take the coastal highway to Gwadar. The first route is the shortest of the three routes. It will pass through very underdeveloped areas (that have security problems). The third route (Eastern) is already functional, and requires upgrading. The Gwadar Port located at the Arabian sea (72 kilometres from Iran; about 320 kilometres from Cape al-Hadd in Oman and about 400 kilometres from the Strait of Hormuz and linked with Persian Gulf), has the capacity of handling up to 19 million tons of crude oil per year, after putting the required infrastructure in place. Through the construction of CPEC, China is interested in developing a direct crude oil pipeline from Gwadar to Xinjiang. With the development of Gwadar Port, all trade to and from Central Asian Republics (CARs) is going to adopt the shortest available route via Gwadar and the trade benefits to Pakistan are expected to multiply. Pakistan could become a major world channel for petro-chemical trade and greatly stimulate its economic growth. Moreover, the province of Balochistan will become significant for regional integration. It is also expected that the corridor will link with India and Afghanistan. However, India has been skeptical about the Belt and Road initiative, as India does not wish to see China expand its influence in South Asia, nor the formation of a second pole of influence in South Asia, which could be a threat to its economy. India has raised objections to the planned corridor for passing through Gilgit-Baltistan. To counter Chinese moves, India has also announced to invest US $ 100 million in the development of Iranian Chabahar port, which they believe will be a means to reach Afghanistan and Central Asia without having to rely on Pakistan. Pakistan is the second largest trading partner of China in South Asia; the trade volume stands at US $ 19 billion. According to data released by the State Bank of Pakistan, the country received US $ 975.4 million as FDI during July-March 2015/16 as compared to the US $ 832.2 million in the corresponding period of last fiscal year. The FDI from China grew by 167 percent to US $ 516 million during July-March 2015/16 as compared to the US $ 193.3 million in the corresponding period of the last fiscal year. The CPEC would pass through all the four provinces as well as Gilgit-Baltistan. Balochistan and KPK’s backward areas would be developed. Balochistan is rich in mineral resources (estimated stock of 200 million tons of iron and 217 million tons of coal, Saindak gold and copper mines contain reserves up to 412 million tons of copper and gold, Reko Dik 5.9 billion tons of copper and gold). The mining sector would flourish. It would contribute towards reducing unemployment in local areas; strengthening micro, medium and small sized industries, thus, benefiting the local population. Universities are also being planned on CPEC’s Western route. These universities will educate and empower the people of FATA, Zhob and Gwadar. Tourism will also flourish under CPEC. The construction of CPEC is an important consensus reached by the leaders of China and Pakistan. It will optimize the trade and energy cooperation between China and Pakistan and benefit over three billion people in China, South Asia and Middle East. CPEC realizes the new realities of global and regional politics by cultivating a more systematic, up-graded and need-based interaction for socio-economic, industrial, energy and trade development. Pakistan’s leadership describes the CPEC as a game changer for Pakistan and the region at large. However, the dividends of CPEC will be realized over a period of 10-15 years. It therefore requires a continued determination on part of China and Pakistan to stay firm on the course. It is important to make sure that all Memorandums of Understandings (MoUs) and any new policy arrangements that may be agreed to in the future by China and Pakistan, are implemented in their true spirit without any delay. A strict scrutiny of the performance and quality of work on different projects will be needed. Similarly, safeguards are needed against corruption. The creation of Prime Minister’s Delivery Unit (PMDU) in April 2015 to monitor the implementation of the projects under the CPEC is a positive move. Pakistan will have to provide security to engineers, technicians and labour that will work on the corridor projects. In April 2015, the Pakistan Army announced establishment of a special security division, headed by a Major General, for providing security. This special security division comprises nine Army battalions and six wings of paramilitary forces (Rangers and Frontier Corps), numbering around 10,000 personnel. The CPEC project will transform Pakistan’s geographic location into an asset. The business community and private sector needs to come forward, and play their role in making CPEC a success. CPEC will ease Pakistan’s energy crisis while connecting the country’s economy with its neighbours on three sides, the east, north and the west. India is the only missing link in the Belt and Road project. It raised objections to the planned construction of the Corridor through Gilgit-Baltistan. China’s engagement with Pakistan gives an opportunity to counter-balance the Indian-US strategic partnership. The anti-state elements opposing construction of the corridor may try to misguide the local people of Balochistan, Khyber Pakhtunkhwa and Gilgit-Baltistan. Extremist/ethnic elements could also be exploited to sabotage construction of CPEC. Meanwhile, the East Turkistan Islamic Movement (ETIM) in Xinjiang may also create problems. To counter these disgruntled elements and to thwart the hidden nefarious agendas, the government needs to employ a multi-dimensional strategy encompassing both soft and hard power. A Pakistan-China joint counter terrorism mechanism is required. The role of think tanks, media and educational exchanges will also be useful in allaying the negative perceptions and apprehensions over the CPEC project. Shahnawaz Akhter, “FDI up 15pc on CPEC Inflows in July-March”, The News, April 19, 2016. Mir Sherbaz Khetran, “The Potential and Prospects of Gwadar Port”, Institute of Strategic Studies Islamabad (ISSI) Journal, Vol. 34 and 35, No. 4 and 1, (Winter 2014 and Summer 2015): 73, (accessed April 10, 2016), http://issi.org.pk/wp-content/uploads/2015/12/Sherbaz_3435_SS_41_20142015.pdf. Dr. Moonis Ahmar, “Strategic Meaning of the China-Pakistan Economic Corridor”,Institute of Strategic Studies Islamabad (ISSI) Journal, Vol. 34 and 35, No. 4 and 1, (Winter 2014 and Summer 2015): 38, (accessed April 5, 2016), http://issi.org.pk/wp-content/uploads/2015/12/Moonis-Ahmar_3435_SS_41_20142015.pdf. Muhammad Saqib Irshad, Qi Xin and Hamza Arshad, “One Belt and One Road: Does China-Pakistan Economic Corridor Benefit for Pakistan’s Economy”, Journal of Economics and Sustainable Development, Vol.6, No. 24, (2015): 203. Dr. Hasan Askari Rizvi, “The China-Pakistan Economic Corridor: Regional Cooperation and Socio-Economic Development”, Institute of Strategic Studies Islamabad (ISSI) Journal, Vol. 34 and 35, No. 4 and 1, (Winter 2014 and Summer 2015): 10, (accessed April 5, 2016),http://issi.org.pk/wp-content/uploads/2015/12/Hasan-Askari-Rizvi_3435_SS_41_20142015.pdf. Dr. Moonis Ahmar, “Strategic Meaning of the China-Pakistan Economic Corridor”, p. 42, http://issi.org.pk/wp-content/uploads/2015/12/Moonis-Ahmar_3435_SS_41_20142015.pdf. Dr. Azhar Ahmad, “Gwadar Port Potential and Prospects”, Research Paper, Pakistan Institute for Conflict and Security Studies (PICSS), http://www.picss.net. Dr. Hasan Askari Rizvi, “The China-Pakistan Economic Corridor: Regional Cooperation and Socio-Economic Development”, p. 10, http://issi.org.pk/wp-content/uploads/2015/12/Hasan-Askari-Rizvi_3435_SS_41_20142015.pdf. Muhammad Saqib Irshad, “One Belt and One Road: Does China-Pakistan Economic Corridor Benefit for Pakistan’s Economy”, p. 202. Muhammad Saqib Irshad, “One Belt and One Road: Does China-Pakistan Economic Corridor Benefit for Pakistan’s Economy”, p. 203. Dr. Hasan Askari Rizvi, “The China-Pakistan Economic Corridor: Regional Cooperation and Socio-Economic Development”, p. 11, http://issi.org.pk/wp-content/uploads/2015/12/Hasan-Askari Rizvi_3435_SS_41_20142015.pdf. “One Belt One Road Provides New Drive for Regional Sustainable Development”,People’s Daily, April 8, 2016, (accessed April 11, 2016),http://en.people.cn/n3/2016/0408/c90000-9041876.html. Dr. Simrit Kahlon, “Gwadar port Operationalisation: India, US Need to Redraw Maritime Strategy”, Indian Defence Review, April 16, 2015, (accessed May 9, 2016), http://www.indiandefencereview.com/spotlights/gwadar-port-operationalisation-india-us-need-to-redraw-maritime-strategy/. Mir Sherbaz Khetran, “The Potential and Prospects of Gwadar Port”, Institute of Strategic Studies Islamabad (ISSI) Journal, Vol. 34 and 35, No. 4 and 1, (Winter 2014 and Summer 2015): 82, (accessed April 10, 2016), http://issi.org.pk/wp-content/uploads/2015/12/Sherbaz_3435_SS_41_20142015.pdf. “3 Varsities on CPEC Route to be Functional this Year: Ahsan”, The News, March 15, 2016. Muhammad Saqib Irshad, “One Belt and One Road: Does China-Pakistan Economic Corridor Benefit for Pakistan’s Economy”, p. 204. Shafei Moiz Hali, Dr. Tan Shukui and Sumera Iqbal, “One Belt and One Road: Impact on China-Pakistan Economic Corridor”, Institute of Strategic Studies Islamabad (ISSI) Journal, Vol. 34 and 35, No. 4 and 1, (Winter 2014 and Summer 2015):158, (accessed April 10, 2016), http://issi.org.pk/wp-content/uploads/2015/12/Shafei_Moiz_and_Tan_and_Sumera_3435_SS_41_20142015.pdf. Dr. Hasan Askari Rizvi, “The China-Pakistan Economic Corridor: Regional Cooperation and Socio-Economic Development”, p. 13, http://issi.org.pk/wp-content/uploads/2015/12/Hasan-Askari-Rizvi_3435_SS_41_20142015.pdf. Obaid Abrar Khan, Pakistan 2nd Largest Trading Partner of China: Envoy, The News, March 10, 2016. “CPEC’s First Phase to be Completed by 2018”, The News, April 17, 2016. Dr. Hasan Askari Rizvi, “The China-Pakistan Economic Corridor: Regional Cooperation and Socio-Economic Development”, p. 12, http://issi.org.pk/wp-content/uploads/2015/12/Hasan-Askari-Rizvi_3435_SS_41_20142015.pdf. China Closely Works with Pakistan to Implement CPEC, The News, March 19, 2016. Mansoor Ahmad, CPEC May Help China Play Role of Large Economy in Region, The News, March 20, 2016. Mir Sherbaz Khetran, “The Potential and Prospects of Gwadar Port”, Institute of Strategic Studies Islamabad (ISSI), Institute of Strategic Studies Islamabad (ISSI) Journal, Vol. 34 and 35, No. 4 and 1, (Winter 2014 and Summer 2015): 73, (accessed April 10, 2016), http://issi.org.pk/wp-content/uploads/2015/12/Sherbaz_3435_SS_41_20142015.pdf. Economic and technical cooperation agreement between China and Pakistan. Exchange of notes of feasibility study of the demonstration project of the DTMB. Exchange of notes on provision of anti-narcotics equipment. Exchange of notes on provision of law enforcement equipment. MoU on provision of Chinese governmental concessional loan for second phase up-gradation of the Karakorum Highway (Havelian to Thakot). MOU on provision of Chinese governmental concessional loan for Karachi-Lahore Motorway (Multan to Sukkur). MoU on provision of Chinese governmental concessional loan for Gwadar port East Bay Expressway Project. MoU on provision of Chinese governmental concessional loan for Gwadar international airport. Protocol on banking services to agreement on trade in services. MoU on provision of material for tackling climate change. Framework agreement on cooperation on major communications infrastructure project. MoU on cooperation between NDRC of China and Ministry of Planning Development and Reform of Pakistan. MoU on Pro Bono Projects in the Port of Gwadar Region. MoU on establishment of China-Pakistan joint cotton bio-tech laboratory. Framework agreement between the National Railway Administration, China and the Ministry of Railways, Pakistan on joint feasibility study for up-gradation of ML1 and establishment of Havelain dry port of Pakistan Railways. Protocol on the establishment of China-Pakistan joint marine research center. Protocol on establishment of sister cities Relationship between Zhuhai city, Guangdong province and Gwadar city. Protocol on establishment of sister cities relationship between Karamay City, XianjianUgur, and Gwadar city. Framework agreement between NEA and MoPNR on Gwadar-Nawabshah LNG terminal and pipeline project. Financing agreement relating to the 870MW hydro-electric Suki Kinari hydropower project between EXIM Bank of China, Industrial and Commercial Bank of China Limited and SK Hydro (Private) Limited. Term sheet of the facility for Zonergy 9×100 MW solar project in Punjab between China Development Bank Corporation, EXIM Bank of China and Zonergy Company limited. Framework agreement for promoting chinese investments and industrial parks development in Pakistan between ICBC and HBL on financial services corporation. Energy strategic cooperation framework agreement between Punjab province and China Huaneng Group. Framework agreement on the China Pakistan Economic Corridor Energy Project Cooperation. Cooperation agreement between Sino-Sindh Resources (Pvt) Ltd and Shanghai Electric Group for Thar Coalfield Block I Coal-Power integrated Project in Pakistan. 2- Dawood 50 MW Wind-power project.